VSoft is a leading provider of banking and payment solutions to financial institutions of all sizes worldwide. 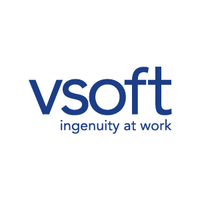 Founded in 1996 in Atlanta, Georgia, VSoft has enjoyed significant growth over the years – we currently serve more than 2600 clients on multiple continents. Our keys to success have been our outstanding associates located in the U.S. and in India, who have developed, sold and supported innovative solutions. VSoft’s original founders remain in leadership today.We are also privileged to have customers ranging from co-operative banks to large global financial institutions who have participated in our growth by providing valuable guidance on their needs and strategic direction. We approach every aspect of our business with our customers in mind.